FIFA says it will expand the World Cup to 48 teams, adding 16 extra nations to the 2026 tournament. 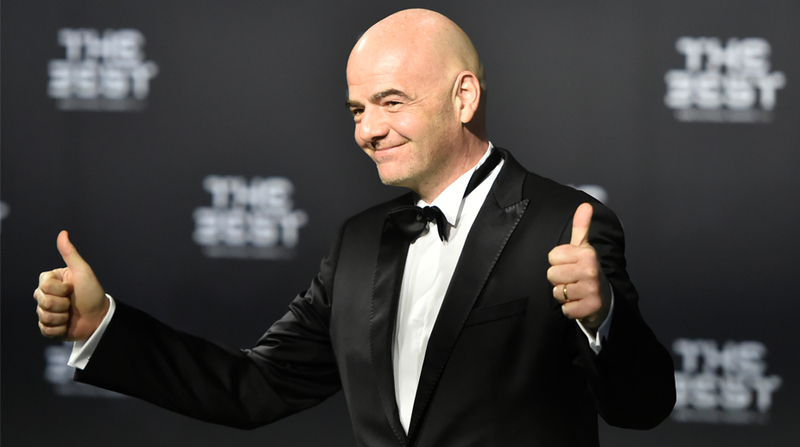 President Gianni Infantino's favoured plan for 16 three-team groups with the top two advancing to a round of 32 was unanimously approved by the FIFA Council. It meets Infantino's election pledge of a bigger World Cup, and should help fund promised raises for FIFA's 211 members. With 80 matches instead of 64, FIFA forecasts $1 billion extra income from broadcasting and sponsor deals, plus ticket sales, compared to $5.5 billion forecast for the 2018 World Cup in Russia. FIFA's six continents should find out by May how many extra places they will get. UEFA wants 16 European teams in the tournament, which will likely be held in North America.